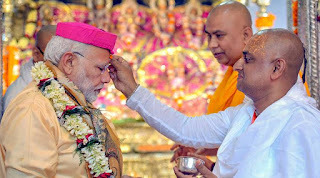 Connectivity and faith came together in some high-voltage neighbourhood diplomacy as PM Narendra Modi and his Nepal counterpart KP Oli drew a tourism circuit with Ramayana as the dominant theme. 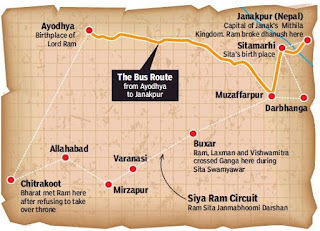 The two leaders inaugurated a bus service between Janakpur, considered in Hindu mythology as Goddess Sita’s ‘maika’ (parent’s place), and her ‘sasural’ (in-laws’ place), Ayodhya. The Ramayana theme played well with Modi’s own politics. “Without Nepal, India’s faith is incomplete. Without Nepal, India’s history is incomplete. Without Nepal, India’s dhams (temples) are incomplete. 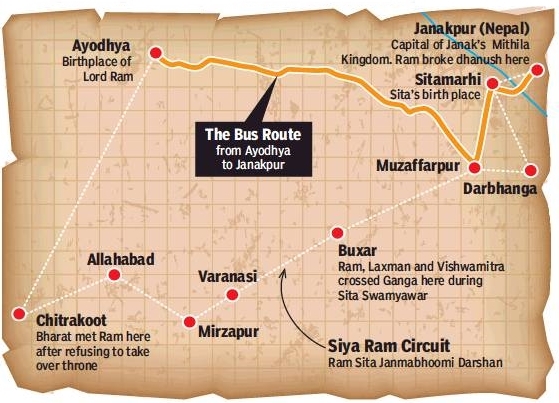 Without Nepal, our Ram is incomplete,” Modi said while inaugurating the Janakpur-Ayodhya bus service. Modi’s two-day visit to Nepal — his third as PM — touched strong points of faith as he offered prayers at Janaki temple, Pashupatinath and Muktinath. A subterranean message to the communist leadership at the helm of Nepal’s affairs was that despite their avowed affinity for communist Beijing, the people of Nepal based their faith on common gods with India. It was a powerful message which did not need to be articulated but was clear when Oli watched Modi pray, but refrained from joining in. At a civic reception here, Modi quoted a verse from ‘Ramcharitmanas’ on helping a friend in the time of suffering to emphasise the ties between the two nations. “Whenever there has been a problem, India and Nepal have stood together. We have been there for each other in the most difficult of times,” the PM said, stressing Nepal’s top position in India’s ‘Neighbourhood First’ policy. 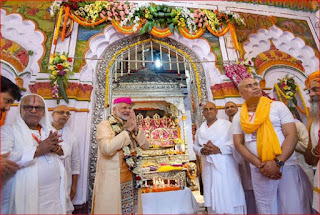 Modi, who became the first Indian PM to perform 16-step puja at Goddess Sita’s Janaki temple here, also announced Rs.100-cr package to develop Janakpur. To a loud applause, he said he had come to Janakpur not as a PM, but a pilgrim.